NAIROBI, May 19 2014 (IPS) - As Africa scales up lifesaving antiretroviral therapy for HIV positive people, concerns are rife that the absence of mass routine viral load testing will hamper extending treatment to the millions who need it. “Routine viral load testing helps catch people who are failing on treatment before they generate resistance to antiretrovirals and helps keep them less infectious,” explains Teri Roberts, diagnostics adviser at Médecins Sans Frontières (MSF). Viral load testing, the gold standard in antiretroviral therapy (ART) monitoring, measures HIV levels in the blood, an indicator of the drugs’ success. The World Health Organisation recommends viral load monitoring six months after starting ART, at 12 months, and every 12 months thereafter. But a viral load test, although routine in wealthy countries, is scarce and expensive in Africa. “A viral load test in Kenya is 25 dollars at the National Programme on AIDS, while a similar test in a clinic in Asia costs about 11 dollars,” says Roberts. An MSF study on world prices of viral load testing found “a dramatic gap” between the manufacturing cost and the market price African countries pay. Point of care viral load testing remains largely unavailable in Africa, says the study. Instead, collected blood samples are sent for testing at a central laboratory. 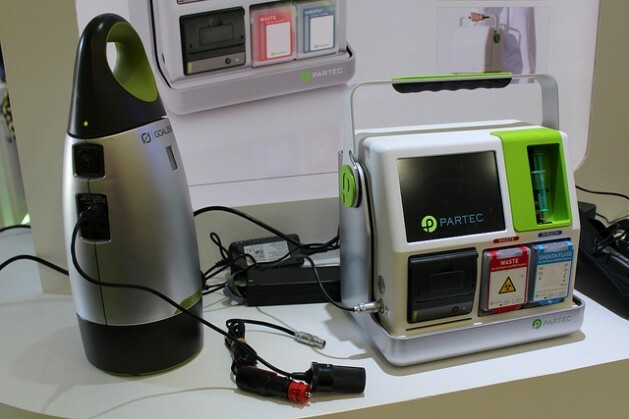 Point of care testing is essential to decentralise care in remote rural Africa, bringing diagnostics closer to the patient and speeding clinical decisions. Though point of care tests are twice as expensive as tests in central laboratories, MSF recommends a mix-and-match combination of solutions that work in a big urban context or in a poor rural district. HIV experts worry that many women on ARV treatment have never had a viral load test, or it came too late. “We may have highly infectious mothers on ARVs because they have acquired resistance but are not picked up for lack of proper monitoring,“ says Roberts. HIV experts are calling on African governments to overcome these challenges. He warns that the cost of viral load machines could be even higher in Kenya due to the value added tax on imports. Locally manufactured products will also encounter pitfalls in the form of royalty payments for intellectual property which, according to MSF, can account for up to 65 percent of the manufacturing cost of the tests. Dorothy Mbori–Ngacha, senior HIV specialist for East and Southern Africa at the United Nations Children’s Fund (UNICEF), tells IPS that UNITAID, a global health initiative, and UNICEF are trying “to eliminate market monopoly in order to create a competitive market” and make viral load testing technology affordable. An MSF study on viral load testing in seven African countries assessed options to reduce costs and improve access, such as pooled testing at district level in Malawi and Zimbabwe. In pooled testing, blood samples from five people are mixed together and only one test is conducted on all five. If it shows a high viral load, individual testing follows. In Malawi, sample pooling using dried-blood spots collected through easy finger-pricking reduced by 30 percent the number of tests required in a rural district with over 30,000 patients on treatment, saving 207,000 dollars per year. For quicker and cheaper relaying of results, MSF recommends using mobile phones and electronic health technologies. Roberts stresses the need to push the biggest buyers – the United States President’s Emergency Plan for AIDS Relief (PEPFAR) and the Global Fund to Fight HIV/AIDS, Tuberculosis and Malaria purchase nine out of 10 tests – to adopt pooled procurement and get even cheaper prices for all. But Ong’ech says this may be difficult, because procurement laws differ across countries and even within countries. “Swaziland uses a generic open platform for procurement of viral load tests, which leads to competition and achieves cheaper prices. Malawi uses a closed platform, which leads to higher prices,” Roberts explains. A test costs 35 dollars in Swaziland and 25 dollars in Malawi. In a generic open platform, the elements for viral load testing are sourced from different manufacturers, while in a closed platform, from a single manufacturer. Nonetheless, as African countries scale up viral load testing, they will gain leverage to negotiate lower prices. Pushing for transparency with prices among and within countries will help. Roberts tells IPS that in Kenya the same component can cost 24 or 11 dollars depending on who imports it. 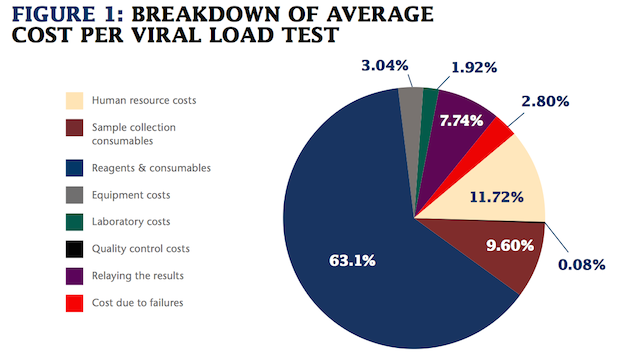 Test costs also hinge on the efficient use of viral load machines. According to MSF, the closer to maximal capacity the machine is used, the price per test decreases between 25 and 50 percent. 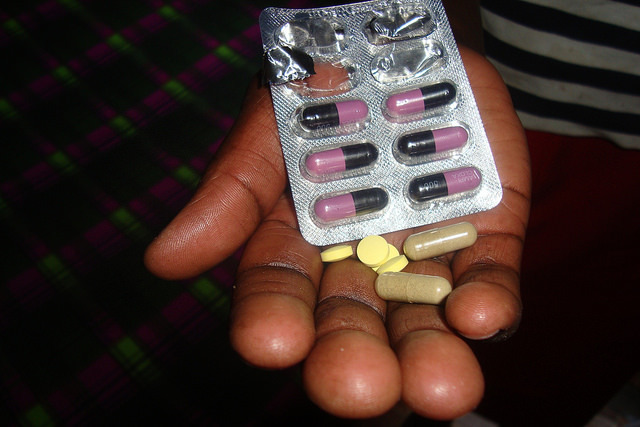 Viral load testing helps keep people on first line ARVs, which cost a fraction of second and third line. “The drugs could be failing due to social issues such as stigma and that can be dealt with without changing treatment regime,” Mbori-Ngacha explains. The MSF study found that in Shiselweni, Swaziland, half of people diagnosed with high viral load improved with adherence counselling and their viral load dropped.